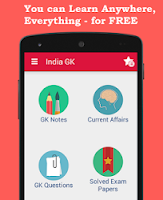 27, 28 February 2019 Current Affairs MCQs, Quiz, Questions: Current Affairs for February 2019, Daily Multiple Choice Questions (MCQs) for India GK, World GK and current affairs with Collection of daily objective type Question by www.Indiagk.net based on General Knowledge (GK) and General Science (GS) Questions for UPSC, State PSC, SSC, Police exam, Railway exam, SBI, Bank PO, IBPC, SSC, LDC, UDC, Army, Airforce, Navy, Coast Guard, Bank Clerk, TET and all entrance examination with current affairs News, Multiple Choice Questions (MCQs) available on Website www.IndiaGK.net and Android Apps with daily updates:. Which city hosted the Future of Indian Banking Conference? Explanation: NITI Aayog co-hosted a conference on “The Future of Indian Banking” on February 22, 2019 in New Delhi with the Foundation for Economic Growth and Welfare (EGROW Foundation). The conference aimed to increase and elevate the discourse on the banking sector in India, and help develop insights to inform the continued evolution of the Indian banking sector. How many countries have ratified the Geneva Convention? Explanation: The Geneva Conventions are a set of international treaties agreed to between 1864 and 1949 that establish the standards of international law for humanitarian treatment in case of war. The conventions were ratified, in whole or with reservations, by 196 countries across the world. When the National Science Day is observed every year? 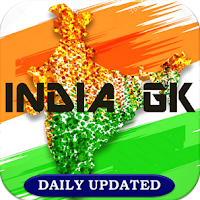 25, 26 February 2019 Current Affairs MCQs, Quiz, Questions: Current Affairs for February 2019, Daily Multiple Choice Questions (MCQs) for India GK, World GK and current affairs with Collection of daily objective type Question by www.Indiagk.net based on General Knowledge (GK) and General Science (GS) Questions for UPSC, State PSC, SSC, Police exam, Railway exam, SBI, Bank PO, IBPC, SSC, LDC, UDC, Army, Airforce, Navy, Coast Guard, Bank Clerk, TET and all entrance examination with current affairs News, Multiple Choice Questions (MCQs) available on Website www.IndiaGK.net and Android Apps with daily updates:. Dhaj village of which state emerged as the first Eco-village of the country? Explanation: Dhaj village which is situated in the forest area of Gujarat's Surat city has emerged as the first Eco-village of the country. The village uses all natural resources to live their lives such as solar panels for electricity, biogas plants, water tanks to collect rain water etc. The village is situated about 70 km far from Surat and has been developed with the joint efforts of Gujarat Ecology Commission, Forest and Environment Department of the state. Which movie won the Oscars 2019 in Best Documentary – Short Subject category? Explanation: The ‘Period. End Of Sentence’, a film on menstruation set in rural India, won the Oscar in the Documentary - Short Subject category at the 91st Academy Awards. The film has been directed by Rayka Zehtabchi and produced by Indian producer Guneet Monga’s Sikhya Entertainment. Which movie won the Oscars 2019 of Best Picture? PM Narendra Modi on February 25, 2019 dedicated the National War Memorial to the nation. The Memorial is located in which city? 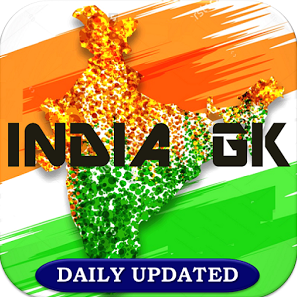 23, 24 February 2019 Current Affairs MCQs, Quiz, Questions: Current Affairs for February 2019, Daily Multiple Choice Questions (MCQs) for India GK, World GK and current affairs with Collection of daily objective type Question by www.Indiagk.net based on General Knowledge (GK) and General Science (GS) Questions for UPSC, State PSC, SSC, Police exam, Railway exam, SBI, Bank PO, IBPC, SSC, LDC, UDC, Army, Airforce, Navy, Coast Guard, Bank Clerk, TET and all entrance examination with current affairs News, Multiple Choice Questions (MCQs) available on Website www.IndiaGK.net and Android Apps with daily updates:. Which state government to give Free Sanitary Napkins to 17 Lakh School Girls? Explanation: The Odisha Cabinet approved the ‘Khushi‘ scheme to provide free sanitary napkins to school girls across the state. The scheme will benefit nearly 17.25 lakh school girls from Class VI to XII studying in government and government-aided schools. The state government will spend INR 466 crore over a period of 5 years to implement the scheme. Which state recently launches Mukhyamantri Yuva Swabhiman Yojana? Explanation: The government of Madhya Pradesh has launched the Mukhyamantri Yuva Swabhiman Yojana to provide employment for youth. The scheme guarantees 100 days of employment every year to urban youths from economically weaker sections (EWS).The youth would get Rs 4,000 stipend per month and total Rs 13,500 for the 100 days period would be provided. During this period, they would be given skill development training, so that they become independent. The scheme defines Economically weaker sections as those whose family’s annual income is less than Rs 2 lakh and the scheme is limited to youth in the age group 21-30 years. IOC Suspends which country from Hosting Global Sporting Events recently? Explanation: The International Olympic Committee (IOC) has suspended all discussions with India regarding hosting of global sporting events in the backdrop of denial of visas to the two Pakistani Shooters. The Pakistani shooters were supposed to participate in the 25m rapid fire pistol event in the ISSF World Cup.IOC notes that the Indian government authorities have failed to grant an entry visa for the Pakistani delegation to participate in the ISSF World Cup which was a qualification competition for the Tokyo Olympic Games to be held in 2020. Denial of visa for Pakistani shooters is against the Fundamental Principles of the Olympic Charter. Pradhan Mantri Kisan Samman Nidhi Yojana was launched from which place? Prime Minister Narendra Modi on 24th February launches Pradhan Mantri Kisan Samman Nidhi Yojana from Gorakhpur in Uttar Pradesh. PM Kisan Samman Nidhi Yojana will electronically transfer the first instalment of Rs 2,000 to selected farmers. Besides, Prime Minister will also distributed certificates to select farmers under PM-KISAN scheme. PM-KISAN was announced in the interim Budget 2019-20 on February 1, 2019. Beside PM-KISAN scheme, PM will also lay foundation stone/ dedicate to nation, various development projects in Gorakhpur. 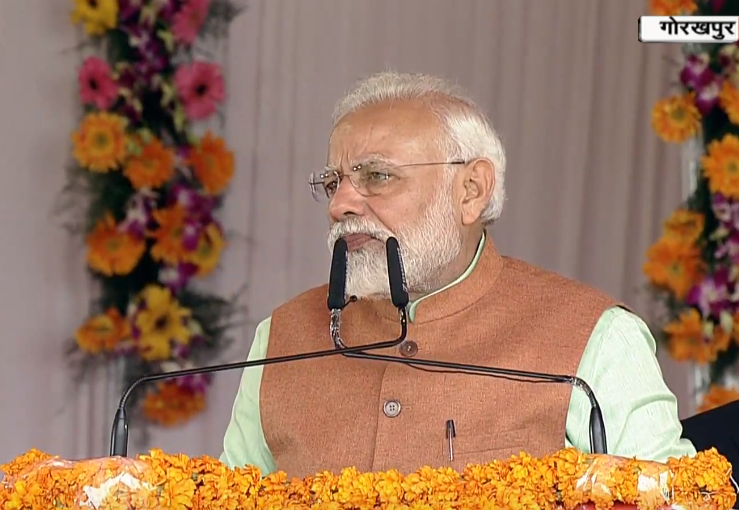 Prime Minister will lay the foundation stone of Kandla-Gorakhpur LPG pipeline and also lay foundation stone of Gorakhpur-Azamgarh link expressway. These projects are expected to immensely benefit the people of Uttar Pradesh. He said that this is a scheme that will give wings to the aspirations of crores of hardworking farmers of India who feed our nation. Prime Minister Narendra Modi has been honoured with the Seoul Peace Prize. The South Korean government has awarded the Seoul Peace Prize for PM Modi in recognition of his service to international cooperation, global growth and human development. The PM Modi dedicated the award to the people of India. He stated that the award belongs to the success India has seen in less than five years, powered by 1.5 billion people. The Seoul Peace Prize is sponsored by the Seoul Peace Prize Foundation. The Seoul Peace Prize was established in 1990 to commemorate the success of the 24th Olympic Games held in Seoul. The Seoul Peace Prize reflects the wishes of the Korean people and to crystallize their desire for everlasting peace on earth. The awardee receives a diploma, a plaque and honorarium of US$200,000. The Seoul Peace Prize is awarded to Individuals or institutions which have made great contributions to the harmony of mankind and world peace in each field of endeavour around the world regardless of nation, race, religion, or ideology. Cabinet Committee on Economic Affairs (CCEA) has approved the launch of KUSUM (Kisan Urja Suraksha evam Utthaan Mahabhiyan) scheme. The scheme aims to provide financial and water security to farmers through harnessing solar energy capacities of 25.75 gigawatts (GW) by 2022. 21, 22 February 2019 Current Affairs MCQs, Quiz, Questions: Current Affairs for February 2019, Daily Multiple Choice Questions (MCQs) for India GK, World GK and current affairs with Collection of daily objective type Question by www.Indiagk.net based on General Knowledge (GK) and General Science (GS) Questions for UPSC, State PSC, SSC, Police exam, Railway exam, SBI, Bank PO, IBPC, SSC, LDC, UDC, Army, Airforce, Navy, Coast Guard, Bank Clerk, TET and all entrance examination with current affairs News, Multiple Choice Questions (MCQs) available on Website www.IndiaGK.net and Android Apps with daily updates:. When is the International Mother Language Day observed every year? Explanation: International Mother Language Day is observed on 21 February every year to promote linguistic and cultural diversity and multilingualism. As 2019 is also the International Year of Indigenous Languages, the theme of International Mother Language Day 2019 was ‘Indigenous Languages as a factor in development, peace and reconciliation’. Namvar Singh was associated with which field? PM Modi Flags-off First Ever Diesel-to-Electric Converted Locomotive from which place? Explanation: Prime Minister Narendra Modi flagged off the first ever diesel-to-electric converted locomotive at the Diesel Locomotive Works (DLW) at Varanasi, Uttar Pradesh. The 10,000HP freight locomotive was converted from two units of old diesel locomotives of 2600 HP each with indigenous technology. The conversion was achieved in record time with the help of engineers from Research Designs and Standards Organisation (RDSO), Chittaranjan Locomotive Works(CLW), and BHEL. The conversion has proved to be cost effective as it requires half of the rehabilitation cost of old locos and it is also environment-friendly with enhanced traction power to double the average speed of goods train. Aero India 2019 inagurated at which place? 19, 20 February 2019 Current Affairs MCQs, Quiz, Questions: Current Affairs for February 2019, Daily Multiple Choice Questions (MCQs) for India GK, World GK and current affairs with Collection of daily objective type Question by www.Indiagk.net based on General Knowledge (GK) and General Science (GS) Questions for UPSC, State PSC, SSC, Police exam, Railway exam, SBI, Bank PO, IBPC, SSC, LDC, UDC, Army, Airforce, Navy, Coast Guard, Bank Clerk, TET and all entrance examination with current affairs News, Multiple Choice Questions (MCQs) available on Website www.IndiaGK.net and Android Apps with daily updates:. Who wins Qatar Open 2019? Explanation: Elise Merten, world number 21 from Belgium beat world number 3, Simona Halep to win the Qatar Open held in Doha, Qatar. This is her first WTA Premier-level crown and fifth title of her overall career. Mertens’ triumph over the Romanian was her third win over a top 10 player in Doha. Great Barrier Reef Rodent is declared extinct by which country recently? Who won the women’s singles title at the Yonex-Sunrise 83rd Senior Nationals? Explanation: Saina Nehwal won her fourth title at the Yonex-Sunrise 83rd Senior Nationals, defeating PV Sindhu convincingly 21-18, 21-15 in Guwahati on February 16, 2019. Sourabh Verma, on the other hand, completed a hat-trick of titles, claiming the men's singles crown after defeating young Lakshya Sen in straight games of 21-18, 21-13. KUSUM scheme is realated to ---- ? 17, 18 February 2019 Current Affairs MCQs, Quiz, Questions: Current Affairs for February 2019, Daily Multiple Choice Questions (MCQs) for India GK, World GK and current affairs with Collection of daily objective type Question by www.Indiagk.net based on General Knowledge (GK) and General Science (GS) Questions for UPSC, State PSC, SSC, Police exam, Railway exam, SBI, Bank PO, IBPC, SSC, LDC, UDC, Army, Airforce, Navy, Coast Guard, Bank Clerk, TET and all entrance examination with current affairs News, Multiple Choice Questions (MCQs) available on Website www.IndiaGK.net and Android Apps with daily updates:. Which team wins Irani Cup 2019? Explanation: Ranji champions Vidarbha beat Rest of India in Nagpur yesterday to retain the Irani Cup. 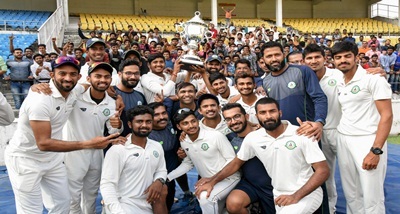 Vidarbha has now become the third team after Mumbai and Karnataka to clinch two Irani Cup titles in a row. Set to chase a target of 280, Vidarbha were well on course at 269 for five, needing only 11 runs for an outright victory. However, the two teams decided to shake hands and settle for a draw. And in a touching gesture, Vidarbha captain Faiz Fazal announced that the entire prize money will be donated to the families of the CRPF personnel martyred in Pulwama terror attack. He said this was a small gesture from their team. PM Modi on 17th February launches Metro Rail Project in which city? Prime Minister Narendra Modi laid the foundation stone of Patna Metro Rail Project at a cost of over 13,000 crore rupees via video conferencing. The project would be completed by 2024. 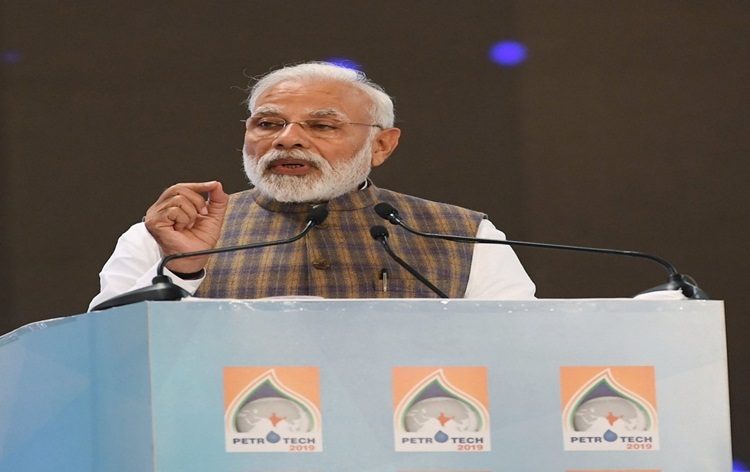 Mr Modi also initiated construction and dedicated projects related to gas pipeline, expansion of Barauni Refinery, revival of Barauni fertiliser unit, ATF aviation fuel plant, extension of Paradip-Haldia-Durgapur LPG pipeline to Patna and Muzaffarpur, Urja Ganga Project City Gas Distribution at Patna and other projects worth over 15,000 crores. 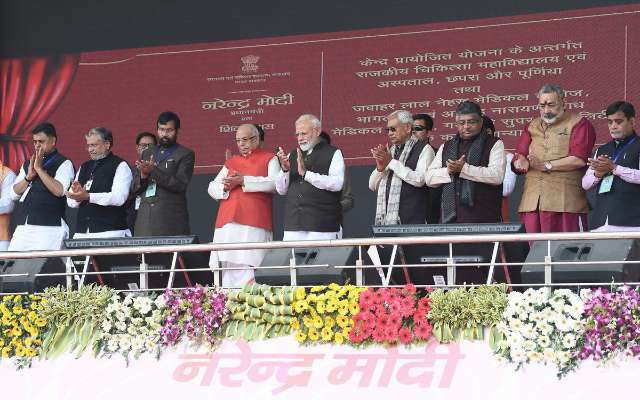 Mr Modi laid the foundation stone for the first phase of Jagdishpur Haldia and Bokaro Dhamra gas pipeline project under the Prime Minister's package for Bihar. He also kick started work of several development projects of civic works, Clean Ganga Mission and Railways also. The Prime Minister laid the foundation stone of 22 projects under AMRUT (Atal Mission for Rejuvenation and Urban Transformation) mission worth over 1,400 crores. Under the mission, a drinking water pipeline would be laid. 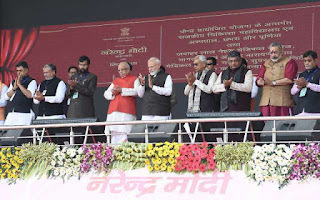 Mr Modi also dedicated the first phase of Patna River Front Development covering 16 ghats of Ganga and laid the foundation stone of network for sewerage projects in Patna and Bhagalpur. Later today, Mr Modi will unveil multiple projects pertaining to health, education, water supply and sanitation at Hazaribagh and Ranchi in Jharkhand. Set to chase a target of 280, Vidarbha were well on course at 269 for five, needing only 11 runs for an outright victory. However, the two teams decided to shake hands and settle for a draw. And in a touching gesture, Vidarbha captain Faiz Fazal announced that the entire prize money will be donated to the families of the CRPF personnel martyred in Pulwama terror attack. He said this was a small gesture from their team. 15, 16 February 2019 Current Affairs MCQs, Quiz, Questions: Current Affairs for February 2019, Daily Multiple Choice Questions (MCQs) for India GK, World GK and current affairs with Collection of daily objective type Question by www.Indiagk.net based on General Knowledge (GK) and General Science (GS) Questions for UPSC, State PSC, SSC, Police exam, Railway exam, SBI, Bank PO, IBPC, SSC, LDC, UDC, Army, Airforce, Navy, Coast Guard, Bank Clerk, TET and all entrance examination with current affairs News, Multiple Choice Questions (MCQs) available on Website www.IndiaGK.net and Android Apps with daily updates:. India has withdrawn the Most Favoured Nation status from which nation? Explanation: India on February 15, 2019 withdrew the ‘Most-Favoured Nation’ status accorded to Pakistan following the Pulwama terror attack in Jammu and Kashmir that led to the killing of 37 CRPF personnel and injuring of many others. One day after the Pulwama terror attack on 14th February, 2019, India has taken a stern step of withdrawing the Most Favoured Nation or MFN Status of Pakistan. This move would enable India to increase customs duty on goods coming from Pakistan. The decision was taken in the meeting of the Cabinet Committee on Security (CCS) that took place on 15th February 2019. The MFN status is given under WTO’s General Agreement on Tariffs and Trade (GATT). It is given to an international trade partner to ensure non-discriminatory trade amongst all the members of WTO. Which state recently announce a Universal Old Age Pension scheme, MMVPY ? Explanation: Bihar Chief Minister, Nitish Kumar announced a Universal Old Age Pension scheme, named Mukhya Mantri Vriddha Pension Yojana (MMVPY), irrespective for all caste, community, religion, except for those who are retired from government organizations. The scheme facilitates the amount of Rs. 400 monthly pension for all in the state above the age of 60 who are not getting a pension from the government. The Chief Minister also announced a pension of 6,000 rupees for journalists above 60 years of age. Those who have been in regular service in the field of media and not getting any other pension will be eligible for Bihar Patrakar Samman Yojana (BPSY). The schemes will come into its enforcement from 1st April 2019. India’s First Agromet Forecast Centre Inaugurated in which state? Sushil Chandra has assumed charge as the new Election Commissioner (EC) of India today on 15th of February 2019 and joins the Commission with Chief Election Commissioner Shri Sunil Arora and Election Commissioner Shri Ashok Lavasa. Born on 15th May 1957 Shri Chandra is a 1980 batch Indian Revenue Service Officer. In the IRS service Shri Chandra has rendered his service in various States viz; Uttar Pradesh, Rajasthan, Delhi, Gujarat and Maharashtra. Acquiring his academic proficiency from Roorkee University and LL.B. from D.A.V. College, Dehradun, Shri Chandra has worked extensively in the areas of International Taxation and Investigation at various places. Shri Chandra brings rich experience from his position of Director of Investigation, Mumbai and Director General (Investigation), Gujarat. Besides this, he has undergone various training programmes at Singapore, IIM Bangalore & Wharton. Prior to joining ECI Shri Chandra held the office of Chairman in Central Board of Direct Taxes, Department of Revenue, Ministry of Finance, and Government of India and was also Member (Investigation), C.B.D.T. 13, 14 February 2019 Current Affairs MCQs, Quiz, Questions: Current Affairs for February 2019, Daily Multiple Choice Questions (MCQs) for India GK, World GK and current affairs with Collection of daily objective type Question by www.Indiagk.net based on General Knowledge (GK) and General Science (GS) Questions for UPSC, State PSC, SSC, Police exam, Railway exam, SBI, Bank PO, IBPC, SSC, LDC, UDC, Army, Airforce, Navy, Coast Guard, Bank Clerk, TET and all entrance examination with current affairs News, Multiple Choice Questions (MCQs) available on Website www.IndiaGK.net and Android Apps with daily updates:. Who becomes First Woman Flight Engineer of Indian Airforce? Explanation: Flight Lieutenant Hina Jaiswal broke the glass ceiling and became the first woman flight engineer of IAF which was till now an exclusive man’s club. The flight engineer branch was opened to women officers in 2018. Flight Lieutenant Hina Jaiswal Commissioned into the IAF’s engineering branch in January 2015. She had created history by becoming the first woman candidate to pursue the elite course. Flight Lieutenant Hina Jaiswal will serve at IAF’s operational helicopter units and serve in demanding and stressful conditions from the icy heights of the Siachen glacier to the seas of the Andamans. Which city hosted the US-India CEO Forum on February 14, 2019? Explanation: India and the United States on February 14, 2019 held the India-US CEO Forum and India-US Commercial Dialogue in New Delhi. The Union Minister for Commerce & Industry and Civil Aviation, Suresh Prabhu chaired the meeting. Who is appointed new Election Commissioner recently? Explanation: The President has appointed Sushil Chandra as the new Election Commissioner. Sushil Chandra’s appointment fills the vacancy caused after the retirement of O.P. Rawat, as Chief Election Commissioner (CEC). 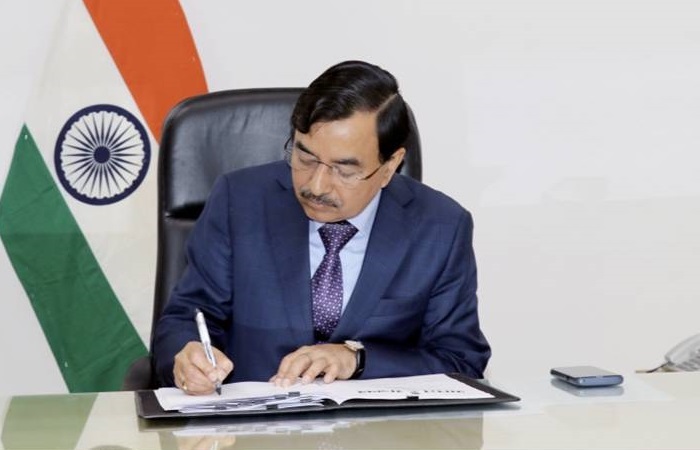 Sushil Chandra will join other two members of the Commission, Chief Election Commissioner (CEC) Sunil Arora and Election Commissioner (EC) Ashok Lavasa. The appointment was made under the clause (2) of Article 324 of the constitution. The Election Commission shall consist of the Chief Election Commissioner and such number of other Election Commissioners, if any, as the President may from time to time fix. 11, 12 February 2019 Current Affairs MCQs, Quiz, Questions: Current Affairs for February 2019, Daily Multiple Choice Questions (MCQs) for India GK, World GK and current affairs with Collection of daily objective type Question by www.Indiagk.net based on General Knowledge (GK) and General Science (GS) Questions for UPSC, State PSC, SSC, Police exam, Railway exam, SBI, Bank PO, IBPC, SSC, LDC, UDC, Army, Airforce, Navy, Coast Guard, Bank Clerk, TET and all entrance examination with current affairs News, Multiple Choice Questions (MCQs) available on Website www.IndiaGK.net and Android Apps with daily updates:. Who becomes first Female Driver to win MRF Challenge Title? Explanation: Jamie Chadwick from Bath, England, scripted history in the MRF Challenge by becoming the first female driver to annex the championship in seven seasons as she finished the third and final round of the international series with a triple crown, including two back-to-back wins on 10th February 2019. In August, Chadwick became the first woman to win a British F3 race. She achieved six victories in the 15 race championship and came back from a large deficit to win in style at the final event. Himachal’s First Mega Food Park inaugurated in which place? Explanation: The Union Minister of Food Processing Harsimrat Kaur Badal inaugurated the Cremica Food Park in Una which is the first mega food park of Himachal Pradesh. The mega food park set up at a cost of Rs 107.34 crore will benefit people of Una district and nearby districts of Kangra, Hamirpur and Bilaspur. The Mega Food park provides facilities such as bulk aseptic packaging (24 MT/ hour), Frozen storage (1,000 MT), Deep Freeze, Dry Warehouse, QC Laboratory and other food processing facilities. Name the new Doordarshan channel launched by PM Modi for Arunachal Pradesh? Explanation: Prime Minister Narendra Modi on February 9, 2019 launched a dedicated 24x7 Satellite channel, ‘DD Arunprabha’ for Arunachal Pradesh during his visit to Arunachal Pradesh, Assam and Tripura. Indian historian Sanjay Subrahmanyam wins prestigious Dan David award. It was awarded by which country? Explanation: Noted Indian historian Sanjay Subrahmanyam has won Israel's prestigious Dan David Prize for this year for his work on inter-cultural encounters between Asians, Europeans and people of North and South America during the early modern era. Mr Subrahmanyam, son of strategic analyst K Subrahmanyam and brother of former foreign secretary S Jaishankar, won the award in the category of ''past time dimension'' for his work in macro history. He shares the USD 1 million award in this category with Prof Kenneth Pomeranz of University of Chicago. The international Dan David Prize is awarded annually to those who have made outstanding scientific, technological and humanistic accomplishments in fields representing the past, present and future of human achievement. Three Dan David Prize are given every year. India signs contract with which country for 72,400 assault rifles?